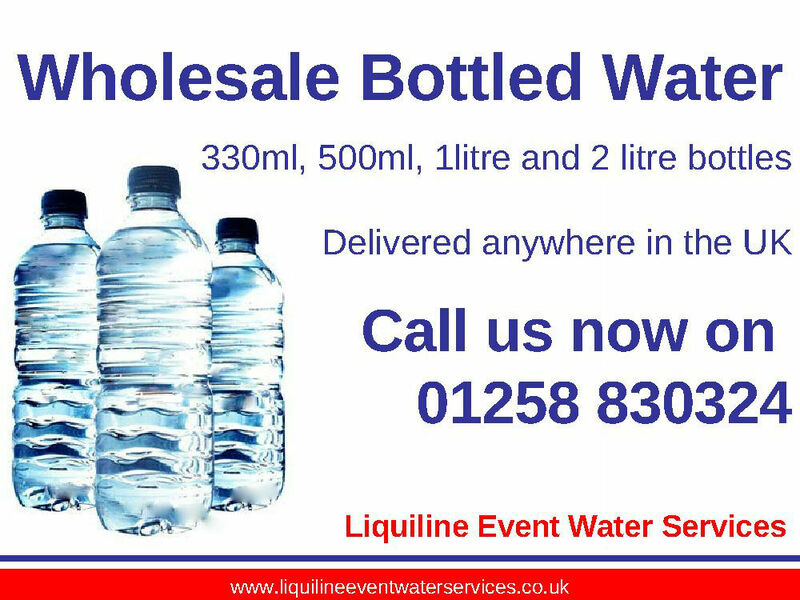 Liquiline Event Water Services provides wholesale bottled water supplies to Festivals and Events across the UK. Wholesale bottled water is delivered either as an accompaniment to our Event Water Services, or as a temporary water supply in it's own right, generally to smaller events where a bulk bottled water supply is the ideal water supply solution. We sell bottled water by the pallet. This is the best way of providing our clients with a cost effective wholesale bottled water supply, as pallets of bottled water are relatively cheap to transport, the transport cost per unit is kept very low, with cost savings passed on to the bottled water customer. What Events Use Wholesale Bottled Water? All types of events have a use for wholesale bottled water. For instance, bulk bottled water supplies are ideal for ensuring back stage crew are kept hydrated during a long hot summer festival. Sports events make up a large part of our wholesale bottled water business, with cycling events, athletics meets and endurance competitions all purchasing bulk bottled water supplies. How many pallets of wholesale bottled water that you order. The more pallets of bottled water you order, the cheaper it becomes. The delivery address of where you wish your order of pallets of bottled water to be sent. We often get enquiries from people looking for cheap bottled water. If by using the term cheap bottled water, they mean is our bottled water cheap compared to buying it at the supermarket?.... then the answer is yes. We sell wholesale bottled water in bulk, i.e. pallets of water instead of single bottles.... economies of scale, resulting in... cheap bottled water! If the question is referring to cheap bottled water, as being sub standard in any way, the answer is most definitely NO!.... Our wholesale bottled water products are cost effective, not cheap in quality. Call our team now on 0800 1448215 to get your wholesale bottled water quotation.